We don't have any experience with this affiliate program yet or know of many affiliates working with the brand so proceed with caution. The BetAmerica.com affiliate program claims to be a fully US regulated and licensed racebook. The main betting features on the site are for horse racing and greyhounds. The racing data comes from racetracks all around the world. The main company behind BetAmerica is Lien Games Racing LLC. 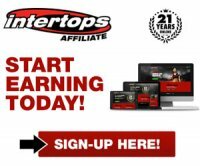 Affiliates now have 2 commission plans available and that is a $50 CPA or starting revenue share of 30% with a high of 40% available based upon performance. Affiliate payments are made once a month and payable by check/cheque, bank wire, ACH and PayPal. The affiliate program uses the Income Access backend. This affiliate program is very basic and only offers text tracking links to refer players to the racebook as well as banners. Once you join and are approved, you will receive your tracking link and a list of banners available given to you by email. This program is basic but takes US players and focuses on horse racing which has a strong betting community worldwide. They also have fantasy sports focusing NFL and NBA which will give a different product to provide to your players that like fantasy sports on top of betting on sports.